The IOTN consists of two components the Aesthetic and Dental Health. The IOTN is principally used to assess treatment need. It can also be used to assess the outcome of orthodontic intervention. Cost £310. The PAR index assesses the outcome of orthodontic care in terms of improvement and technical quality of care. It can be used to assess orthodontic treatment standards. A good occlusion has a PAR score of less than 5 PAR points. A good standard of treatment is achieved when the percentage reduction in PAR score is greater than 70 per cent. Cost £310. This course runs form 9.00am to 5.00pm. Attendees should arrange travel from Cardiff around 6.30pm. A bespoke course can be designed to match the needs of the participants. Case clinics can be arranged to look at a series of cases provided by clinicians. Cost depends on the structure and length of the course. The ICON was published in 2000. It can be used to assess complexity, outcome and need. It is useful in epidemiological and audit surveys. 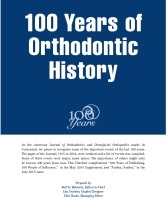 It is unique in that it has clearly defined thresholds for orthodontic treatment need and outcome. It is the ideal index to use for cost-effective analyses. Cost £310. Hotel accommodation should be arranged directly with the Holiday Inn Hotel, City centre, Cardiff, CF10 1XD.